I have just updated my lab with the recently released vSphere 5.1 Update 1 and want to share some oddities I encountered with the Single Sign On (SSO) component. [Release] VMware Converter 5.1, finally with GPT support! After a long public beta test VMware has released an important update to its free Converter product: version 5.1. HP has recently released updated Offline Bundles that are available in the directory http://vibsdepot.hp.com/hpq/apr2013/. Unlike the other release directories (feb2013 was the latest up to now) it is not (yet) properly set up as an Online Depot, so you can not add it as a download source to Update Manager. How to vMotion from Intel to AMD - and why not to do it. Have you ever been bugged by a vMotion Compatibility check error that you couldn't really explain e.g. while you tried to put a host into maintenance mode for doing some urgent work? Have you ever dreamed of live migrating VMs from a cluster of hosts with Intel CPUs to another cluster of hosts with AMD CPUs (in a hardware migration scenario or just for fun)? 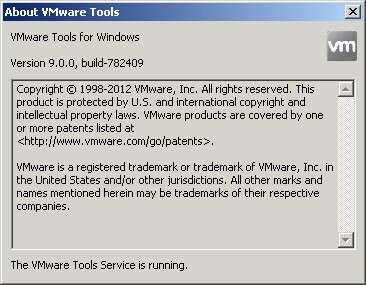 The VMware Tools GUI is gone - Now what?